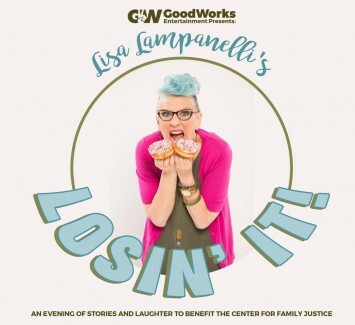 Home » GoodWorks Entertainment Presents: Lisa Lampanelli's Losin' It! GOODWORKS ENTERTAINMENT PRESENTS: LISA LAMPANELLI'S LOSIN' IT! VIP includes: preferred seating, cocktail and small plate reception with Lisa and all performers, signed program, photos with Lisa, up close and personal Q & A session.